The Cool Stuff is street art. I was looking at some street art photography and there were some really spectacular images. Check out art Fido for more. This image below has to be my favourite so far. Take a look at it; it’s not too hard to figure out. I thought it was cool. 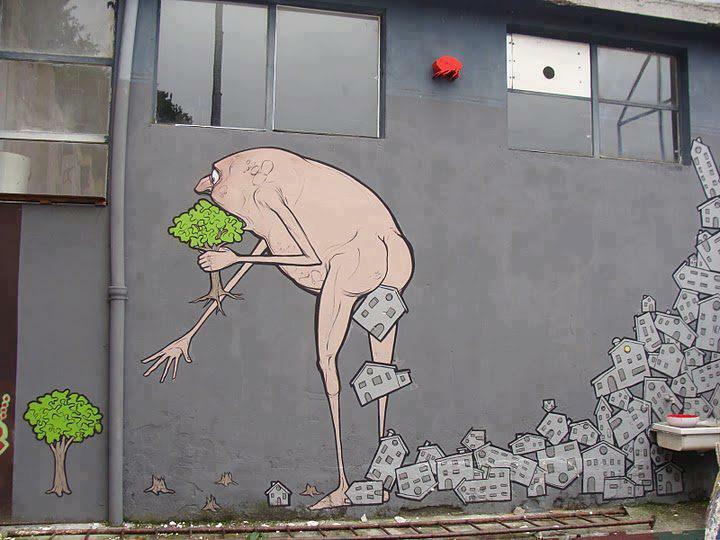 I could not find the name of the artist, but it’s from 2013 street art list. No words from me. No words from me. Hi Norbert, thank you so much for re-blogging. A true story of man and his selfishness. Agreed David. Yumi yet wokim. Absolutely! 🙂 Thank you Kah Wah.